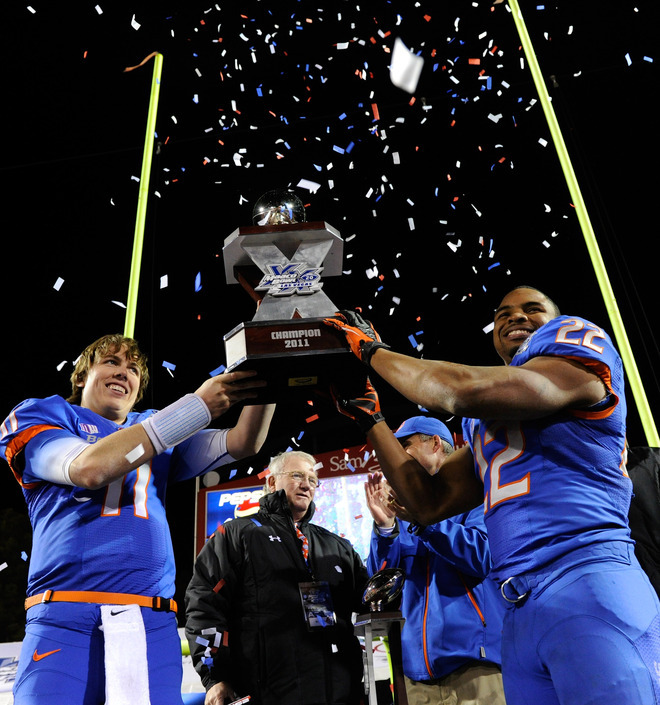 Kellen Moore capped off his stellar career at Boise St. with a bang, but yet again, against an inferior opponent. His 50th win is the most for any QBs career in college football as he passed for 292 yards, however his RB Doug Martin won MVP. The Sun Devils could simply not stop the bleeding from their regular season as they let up big play after big play, including a Doug Martin opening kick-off return TD. By letting up a bunch of TDs to the Broncos, Brock Osweiler saw plenty of time on the field and put up good numbers with the thanks to his top wide receiver, Gerell Robinson. This will probably be the last we see of Boise in the Las Vegas Bowl since they're moving to the wide-spread Big East next year.